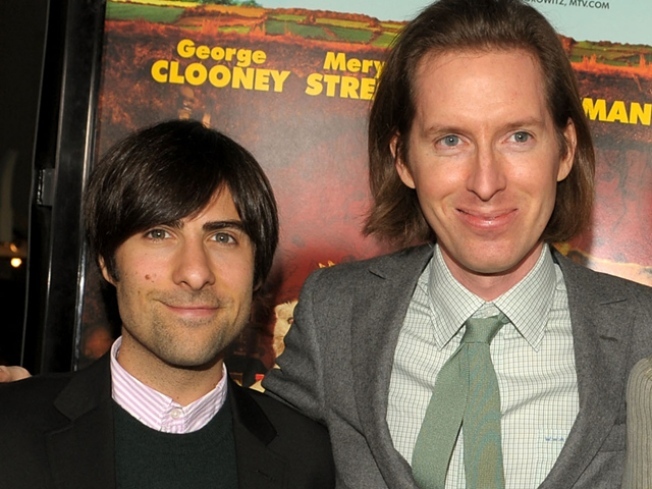 Jason Schwartzman (l.) and Wes Anderson talk "Fox" tonight at 92YTribeca. SLY: Twentieth Century Fox’s much-hyped “Fantastic Mr. Fox” doesn’t come out until Friday, but you can feed your jones in advance with clips from the film and behind-the-scenes anecdotes, courtesy of director Wes Anderson and voice-of-Ash Jason Schwartzman – the longtime collaborators come to 92YTribeca tonight to discuss the making of the animated feature, answer your burning questions and generally corner the market on absurdist humor and deliberately awkward silences. Well, maybe not. But a girl can dream. Entertainment Weekly’s Dave Karger moderates. 7:30PM. REWIND: As Sid 'n Susie, alt-poppy Matthew Sweet and Bangle Susanna Hoffs have made a mini-career out of breathing new, quirky life into classics from the 1960s and ’70s on their two 'Under the Covers’ discs. Come and hear them work their magic on tunes like ‘Maggie May’ and ‘You’re So Vain’ at City Winery tonight (and tomorrow) at 9PM. BREAKOUT: Squint and you might see it, listen for the trills and growls at the extremes of her singing register and it might sound familiar: Maude Maggart is Fiona Apple's sister, but the comparison ends there: She's made a name for herself breathing new, heady life into the Great American Songbook. She’s about to explode something fierce, acting in Robert Downey Jr.’s Kurt Weill biopic, so catch her while you can at Fenstein’s at Loews Regency, 8:30PM (through Saturday 11/14).